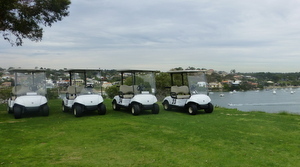 Take advantage of one of Perth’s most picturesque venues for your next corporate golf day. At Mosman Park we specialise in small to medium sized corporate days and can customise a corporate package to suit your requirements. Mosman Park Golf Club boasts a stunning outdoor bbq area and timber decking offering uninterrupted views of the Swan River. Contact the Club for more information or fill out our enquiry form on-line.